A well-known active antenna for the LF, MF and HF bands is the “MiniWhip” designed by PA0RDT; see . Many ideas and misunderstandings have been voiced about how this antenna works. In this article, I hope to shed some light on this, by using some elementary theory. 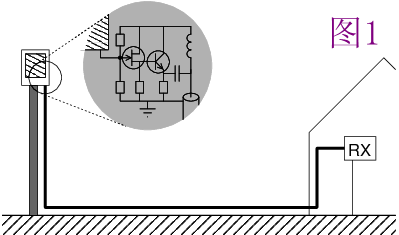 The figure shows a sketch of a typical MiniWhip setup. It consists of a mast of a few meters high, ideally in the open field, with on top of it a small metal plate and an amplifier, together in a plastic enclosure (the actual MiniWhip). A coaxial cable runs from the MiniWhip down along the mast to a receiver. For now we assume the mast is conductive and grounded, but we will later see what happens if this is not the case. The amplifier is a voltage follower with a very high input impedance in order not to load the metal plate, and a low output impedance to be able to deliver sufficient power to the 50 ohm coaxial cable; see [1,2,3]. The idea is that the metal plate “measures” the electrical field at its location, and sends the result via the coax to the receiver. Let’s make the following assumptions: the mast’s height is small compared to the wavelength, and the signal to be received is vertically polarized. These are reasonable assumptions: the MiniWhip is often touted as an antenna for LF and MF (so with wavelengths of hundreds of meters), and those signals are predominantly vertically polarized (due to the influence of the relatively nearby conducting earth). At higher HF frequencies, these assumptions become less realistic, depending on the mast’s height. Such a vertically polarized radio signal produces vertical fieldlines in the area around the antenna, and as a consquence the so-called equipotential surfaces (surfaces on which the potential, i.e. the voltage w.r.t. ground, is the same everywhere). The metal plate in the MiniWhip will be at the same potential as the equipotential surface crossing it. However, the amplifer in the MiniWhip is not just connected to the metal plate, but also to the grouned mast. To be more precise: the amplifier measurs the potential difference between the plate and the mast, buffers this, and applies this same potential difference between the shield and the center conductor of the coaxial cable. This is crucial: the signal that ends up in the receiver, is the potential difference between the plate and the mast. How large is this potential difference? The simplest reasoning says that the plate has the same potential as the field a few meters above the ground (the height of the mast), and the mast itself is at ground potential (because its lower end is grounded). However, this is a simplification. If the entire mast is at ground potential, the higher equipotential surfaces cannot cross it, and thus must be distorted. This figure shows what the distorted surfaces look like (calculated by having my computer solve the relevant Maxwell equation). The black line at the bottom denotes the earth. On it, there is a (rather thick, cylindrical) mast, and a metal block floats above it, both also shown in black. The metal block is the MiniWhip’s metal plate. The red lines are the equipotential surfaces, or rather, cuts through them. Each of these lines corresponds to a potential, expressed in volts: the voltage of this equipotential surface w.r.t. ground. The earth and the mast itself are at ground potential, say 0 volts. The lowest red line could then e.g. 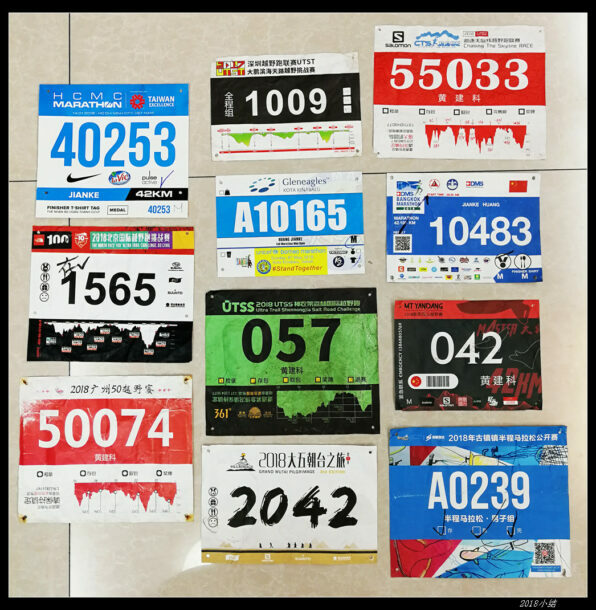 be at 1 μV, the next at 2 μV, and so on. Far away from the mast, the equipotential lines/surfaces are almost horizontal, as one would expect for a vertically polarized electric field. Around the mast, they are distorted, because the entire mast is at ground potential. And also around the metal block above it, the lines are distorted, because the potential on a conductor is the same everywhere. But actually, the distortion is not too bad; at the metal block the potential is hardly different than far away from the mast at the same height. Further calculations show that the distortion decreases as the mast becomes thinner. What if the mast is not conductive? The amplifier will still measure the potential difference between the plate and the “ground” of the amplifier circuit. If the mast is not conductive, then the only thing connected to the circuit ground is the shield of the coaxial cable. In that case, the potential difference will be measured between the plate and whatever that cable shield goes to. If the cable shield is solidly connected to ground somewhere further on, it will work just as well as with a grounded mast. But if the shield is not grounded, goes into the shack and connects there to a “dirty” ground (e.g., the mains safety ground), well, then all noise on that dirty ground will contribute to the potential difference at the amplifier input, and thus end up in the receiver. Hence the importance of good grounding. It might be an idea to replace the coaxial cable by a glass fiber. That would eliminate all noise coming into the amplifier via the coaxial cable. But without any conductive connection to the outside, the entire circuit will be at the same potential, so the received signal will not cause a potential difference that can be passed on to the receiver. As a consequence, nothing will be received. PA0RDT recently tried this in practice and reported about it on the RSGB-LF mailing list: indeed, he received nothing. Another interesting experiment by PA0RDT was to not put the antenna on top of a vertical pole in the garden, but on a horizontal pole out of a window, with the coaxial cable also attached to that horizontal pole. He did this in such a way that the metal plate in either case ended up at the same spot, and noticed that the reception of a vertically polarized MF signal was equally strong. At first sight, this suggests that the antenna is not polarized: the reception is the same, even though the entire setup has been rotated from vertical to horizontal. However, this conclusion is not correct. The amplifier still measures the potential difference between the plate and the pole (if conductive and grounded) or the coax shield (which presumably is grounded somewhere, possibly via the mains). So, the potential difference is still measured between the plate (which is again at the same spot) and the ground (which also has not changed), so it is to be expected that the resulting signal is the same. Whether the ground connection goes down vertically, or takes a partially horizontal detour, does not matter, as long as the detour is short compared to the wavelength. 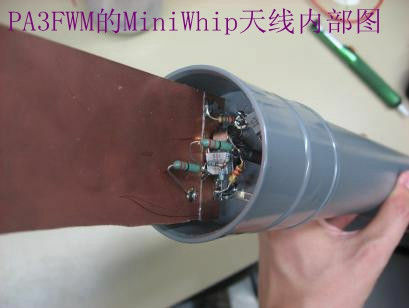 Most active electric field antennas do not, like the MiniWhip, use a metal plate, but a whip of about a meter long. This makes no essential difference for the operation. Such a whip will, if it is short compared to the wavelength, assume the average potential of its surroundings, in this case the potential about half a meter above the top of the mast. This half meter extra height will hardly affect the potential difference to ground. However, there is another important difference, namely the capacitance of the plate or whip. A whip has a capacitance of almost 10 pF per meter of length, slightly dependent on it thickness. A circular metal plate has a capacitance of about 0.35 pF per cm diameter (proportional to the diameter, not to the area, as one might expect). I haven’t found a formula for a rectangular plate, but the shape should not matter too much, so a typical MiniWhip has about 2 pF of plate capacitance. That capacitance is important, because together with the amplifier input capacitance it forms a capacitive voltage divider. If the plate or whip’s capacitance is smaller, less voltage remains when the amplifier is connected. Before we can say anything about the directivity of an antenna, it’s good to have a closer look at what is or determines the “direction” of a radio signal. 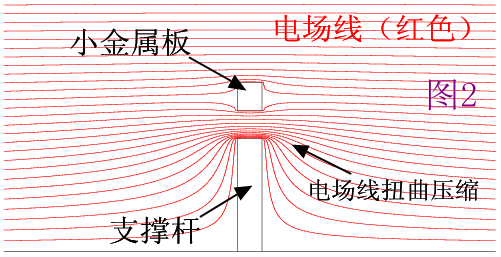 The figure shows a vertically polarized transmitting antenna, and the electric and magnetic field lines produced by this antenna at a large distance (the so-called far field). 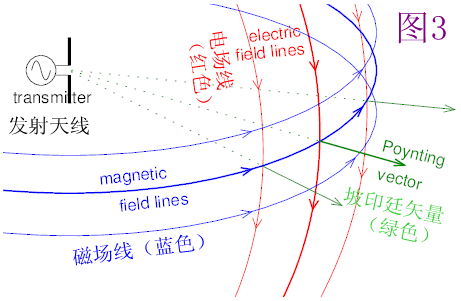 We see that the electric fieldlines are vertical, not surprisingly since the electric field is caused by e.g. the top half of the dipole being charged positively and the bottom half negatively (or the other way around, half a period later). We also see that the magnetic field lines are horizontal, forming a large circle around the antenna; this is also to be expected, since we know that magnetic field lines form circles around a current-carrying wire. The figure also shows the so-called Poynting vector. 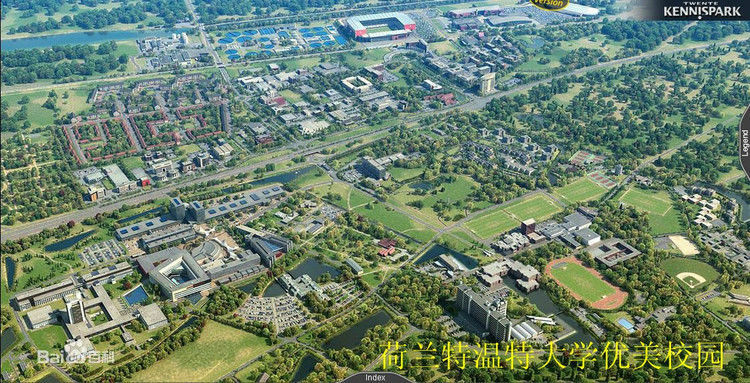 It is named after the English physicist J.H. Poynting, and points in the direction in which the wave propagates. Mathematically it is given by the so-called outer product of the electric and magnetic field vectors. Its direction can be determined by turning one’s lefthand such that it catches the magnetic field lines into its palm, and the fingers are aligned with the electric fieldlines; then the thumb indicates the direction of the Poynting vector. How can an antenna be more sensitive to signals from one direction than from another? If the antenna could directly sense the Poynting vector, it would be easy, since this vector indicates directly the propagation direction. Unfortunately however, antennas do not respond to the Poynting vector but only to the electric and/or magnetic field. The first way in which an antenna can have directional sensitivity, is by measuring the electric or magnatic field at several places and “comparing” the phase of the signal at those places. This happens e.g. in a Yagi antenna: a signal that arrives from straight ahead, reaches the first director earlier than the dipole. However, for small antennas this principle doesn’t work: if the antenna is small compared to the wavelength, the signal arrives almost simultaneously everywhere in the antenna, and thus does not give a significant phase difference. For a small antenna to be directionally sensitive, the only possibility is to use the direction of the electric and magnetic field lines themselves. Unfortunately, they do not always reveal the direction from which the signal is coming. In contrast, the magnetic field lines do say something about the direction. If e.g. the transmitter is west of us, then the magnetic field lines are in a north-south direction. If the transmitter is north of us, the magnetic field lines run east/west. But this is not unambiguous: if the transmitter would be south of us, the magnetic field lines would also be east/west. In other words: in case of a vertically polarized signal, the magnetic field lines tell us from which direction the signal is coming, albeit with a 180 degree uncertainty. And this is of course well known from portable mediumwave radios with a built-in ferrite rod antenna: such an antenna is directionally sensitive, but if one rotates it by 180 degrees, reception doesn’t change. 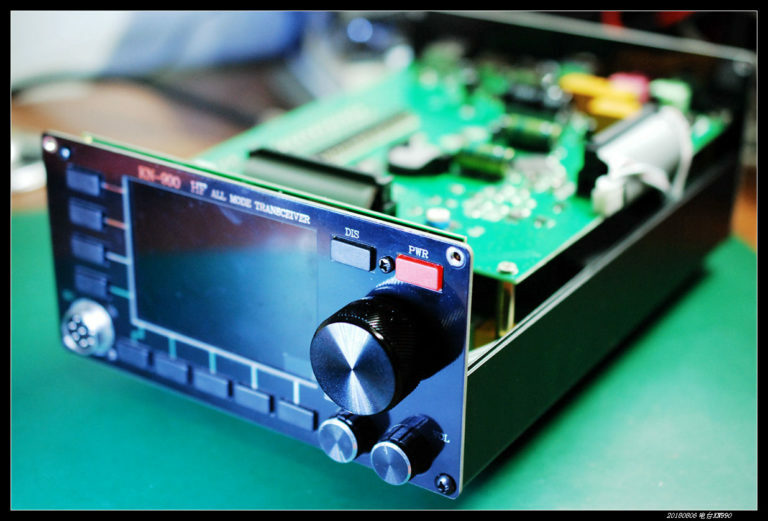 Fox hunters / ARDF participants on 80 meters also use ferrite antennas that respond to the direction of the magnetic field lines. To resolve the 180 degree ambiguity, these receivers often have an additional “sense antenna”: a whip that responds to the electric field. As noted before, that field says nothing about the direction of the signal, but it can resolve the 180-degree ambiguity of the magnetic fieldlines: depending on the direction, the electric signal is in phase or 180 degrees out of phase with the magnetic signal. A nice application of these principles is DF6NM’s directional longwave receiver . He uses two magnetic antennas under 90 degree angles to determine the direction of the signal, and an electric antenna to resolve the 180-degree ambiguity. He uses this data to produce a waterfall diagram in which the color indicates the direction. All considerations so far were about vertically polarized signals. For horizontally polarized signals the situation is reversed: the electric field lines run horizontal and reveal the direction, while the magnetic field is vertical and says nothing about the direction. And what about the MiniWhip? We have already seen that it responds to the electric component of a vertically polarized signal, and that it is small compared to the wavelength. Then only one conclusion is possible: it is not directionally sensitive. However, the MiniWhip does have a dip straight up: it will not respond to signals coming from straight above. Such signals have both their electric and magnetic field lines horizontal, and then there is nothing left for this antenna to respond to. 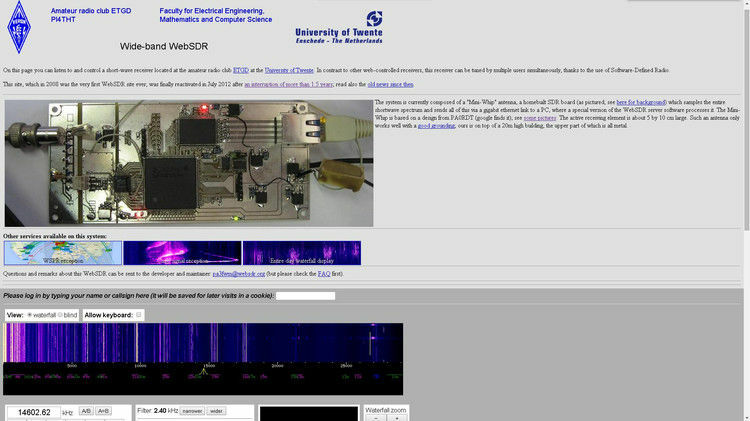 This is quite noticeable with my WebSDR at the University of Twente. Occasionally Dutch users complain that its antenna is bad because they cannot hear Dutch stations on 80 m too well; but those signals bounce off the ionosphere almost vertically. 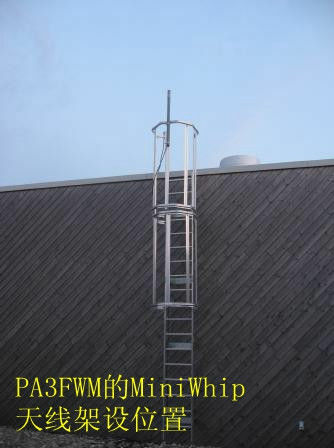 Some people have suggested that in order to receive signals coming from straight above, one should mount a horizontal plate on top of the MiniWhip’s vertical plate. This is not going to work: the MiniWhip would still measure the potential difference between the plate and the ground, and for signals from straight up that difference is 0. What can we conclude from all of this theory? The MiniWhip is vertically polarized. Grounding is important: if the antenna is only grounded in the shack, via the coax cable, much noise can be picked up. B.t.w., that grounding does not need to be galvanic: a large piece of metal, even if not connected directly to the earth, may have enough capacity to serve as ground. The strength of the received signal is directly proportional to the height of the antenna above ground, as long as this is small w.r.t. the wavelength. 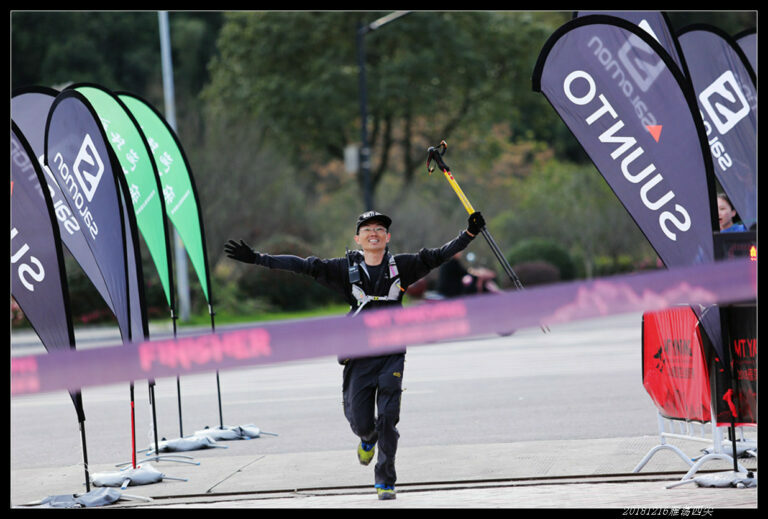 Whether the mast is conductive or not hardly matters for the reception. However, if the mast is conductive, the antenna’s plate must of course not be mounted besides but above the mast. The antenna is omni-directional, except for a dip straight up. The orientation or shape of the metal plate do not matter; b.t.w., this is also true for the whip in case of whip-based active antennas. De pa0rdt-Mini-Whip, een actieve ontvangantenne voor 10 kHz tot 20 MHz, PA0RDT, Electron 5/2006. Technische notities van PA3FWM, Electron 3/2010. AN-32 FET Circuit Applications, Texas Instruments. Active Reception Antennas, Observations, Calculations and Experiments; Detlef Burchard, VHF Communications 2/96 (and UKW-Berichte 4/94). 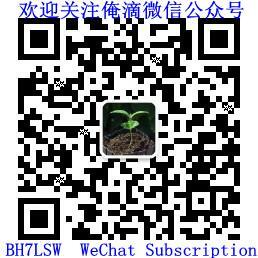 Text and pictures on this page are copyright 2013, P.T. de Boer, pa3fwm@amsat.org .